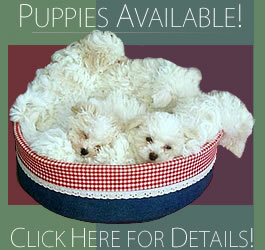 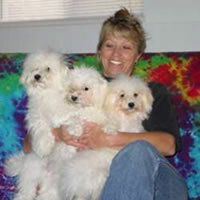 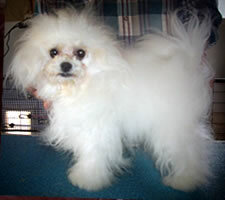 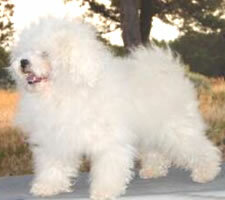 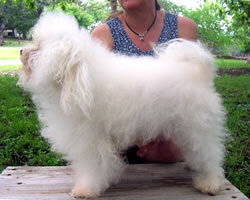 Renaissance Bolognese.Breeder with Bolognese Puppies for sale in Colorado. 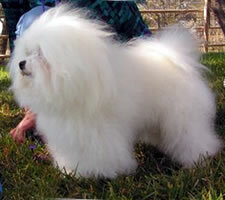 I have carefully selected Bolognese breeding stock of World Champion bloodlines, with good health, and delightful temperaments. 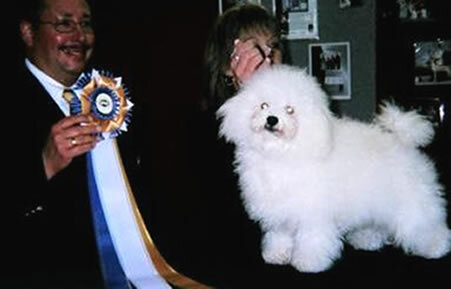 All Bolognese that are used in my breeding program are eye tested annually by a CERF certified veterinarian ophthalmologist. 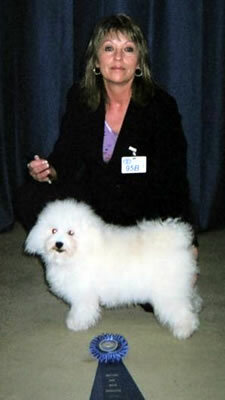 Testing is very important in order to ensure optimum eye health in the future throughout the breed. 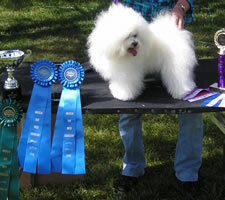 Likewise, the patella (back knees) are tested annually for strength and soundness. 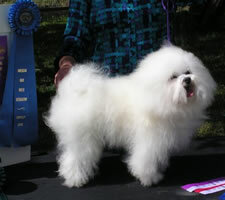 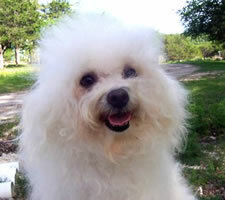 Many of my Bolognese sires and dams are double registered with both the FCI registry, and the Bichon Bolognese Association of America. 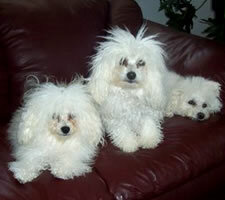 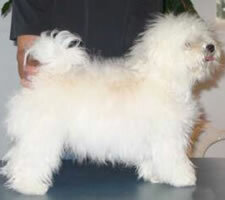 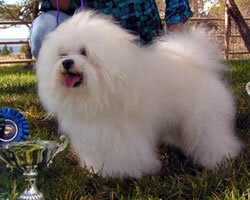 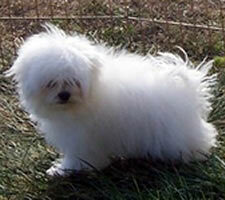 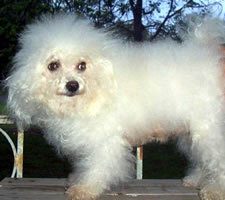 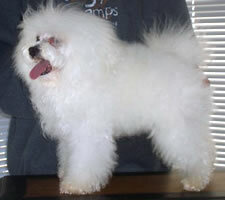 All have three generation pedigrees, with verifiable origins from legitimate FCI registered bloodlines out of Europe. 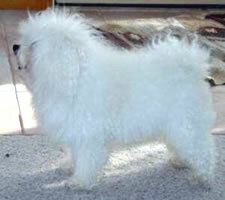 Zillo is an outstanding Bolognese in every way with a well bred pedigree. 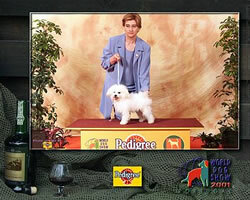 I am proud to have him as my foundation sire here at Renaissance. 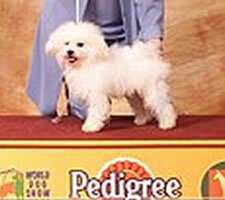 He boasts an illustrious show career worldwide, and has earned the title of being an American Rare Breed Master Champion. 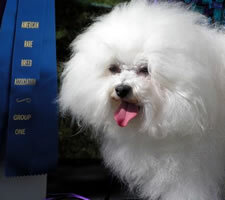 Renaissance Ricchezza, American Rare Breed Master Champion. 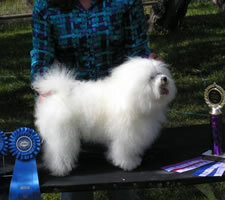 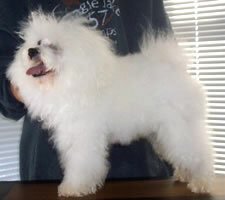 Renaissance Niccolo, American Rare Breed Champion.